VENTURING SOUTH of Paso Robles, the air becomes noticeably easier to breathe (Paso is a Sulphur hotspot - so tangible are the aromas of spent match and coddled egg that growers hardly need to spray against mildew and other enemies). The prized limestone gently gives way to compacted volcanic tuft and loose shale. 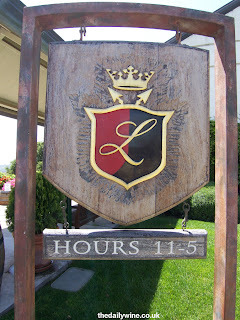 I pulled in at the Laetitia Winery located in a cool-climate (for California) punchbowl at Arroyo Grande. Founded by the Deutz Champagne house, the original vision to craft convincing traditional method sparkling wines sparkles through. Their entry-level Brut Cuvée NV 70p/c Pinot Noir and 30p/c Pinot Blanc was deeply impressive with an almost edible brioche character, discernible fruit and a gentle heat. According to the tasting room lady, it offered "a party in the mouth" (to her perhaps, though I stifled a cringe). The Rosé NV Pinot Noir was pungently Burgundian, yielding some sun-struck straw bale aromas. Of all the range, their Late Harvest Riesling '04 was the most illuminating, with a suffusion of seedless paw-paw, petrol and honeysuckle. An astonishing through-put. Bold, uncompromising with tempered acidity. Quite remarkable. 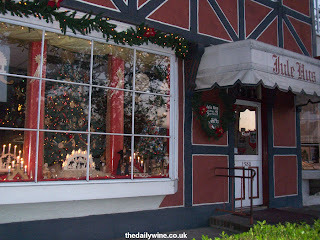 Later I found myself embroilled in the conspiracy of the Royal Copenhagen Hotel, Solvang, near strawberry-centric Santa Barbara, which '...will have you believing you have traveled to Denmark'. 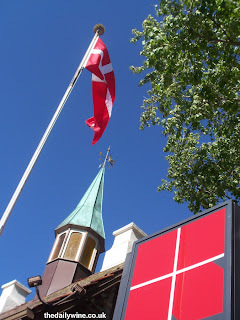 Windmills, ample Danish pastries containing fruit reservoirs, enthused Scandanavian dancing and verdegris turrets hurtle together under the ever-present Danish flag to form this town's abstract landscape. However all fun must be curtailed by what seems to be an 8pm curfew. This meant I had to move fast to stave off starvation. Lane Tanner's '05 Pinot Noir from Santa Barbara, sampled at one of the two town's wine bars, had unresovled issues: a femine wine with a slight trace of burnt hay, trapped within brutally masculine packaging. Ethan Syrah from the son of Robert Neil, founder of Qupé (who are in bed with Au Bon Climat) was squid-ink with purple flecks and fullsomely fresh, with some witch hazel aromas. 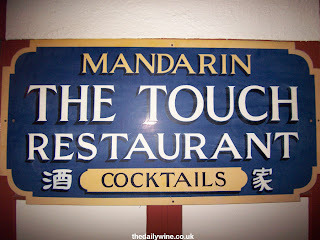 I rounded off the early evening with a Chinese 'Gourmet' Meal which I think cost more than the charmingly twee hotel. Incidentally the Hitching Post of Sideways fame (and long before) is just yards away, serving such homely delights as chips fried in duck fat.